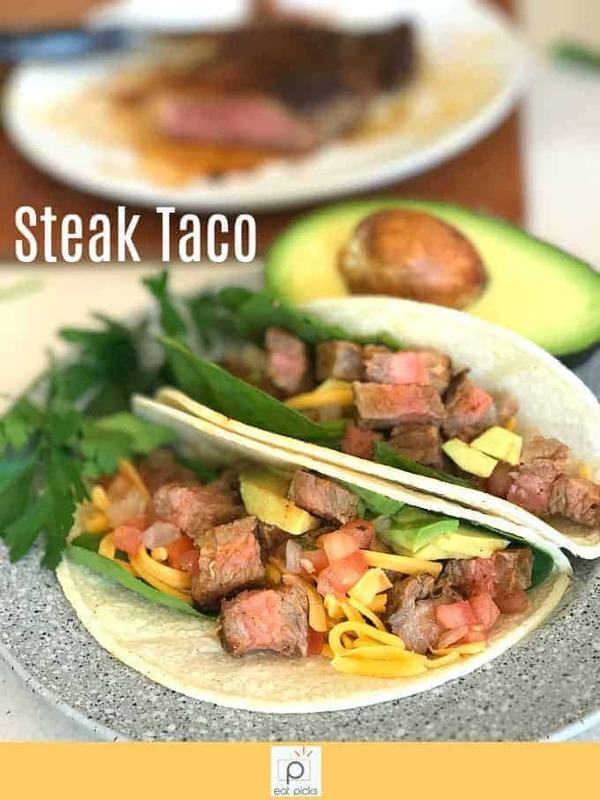 Taco Tuesday is a favorite staple to almost every meal plan and if you want to step it up a notch, then you must try using Moyer Angus Beef Strip Steak to create the best steak tacos. This juicy cut of beef will have family and friends coming back for seconds and thirds, so make sure you have enough on hand. 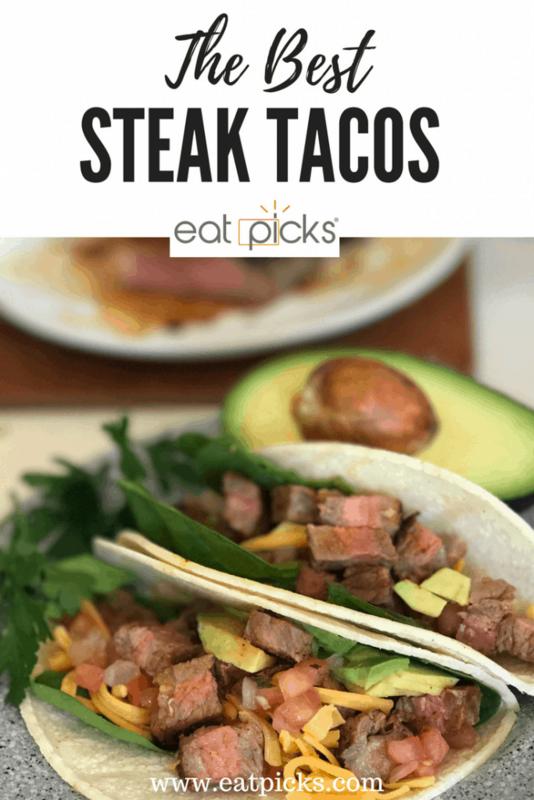 The Best Steak Tacos For Taco Tuesday! 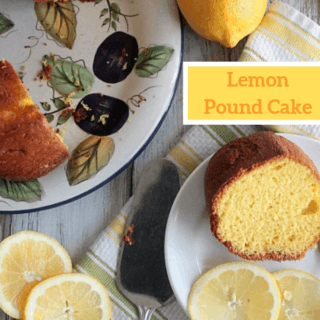 The second day of the week has been reserved by many as one of the favorite dishes of any meal plan. 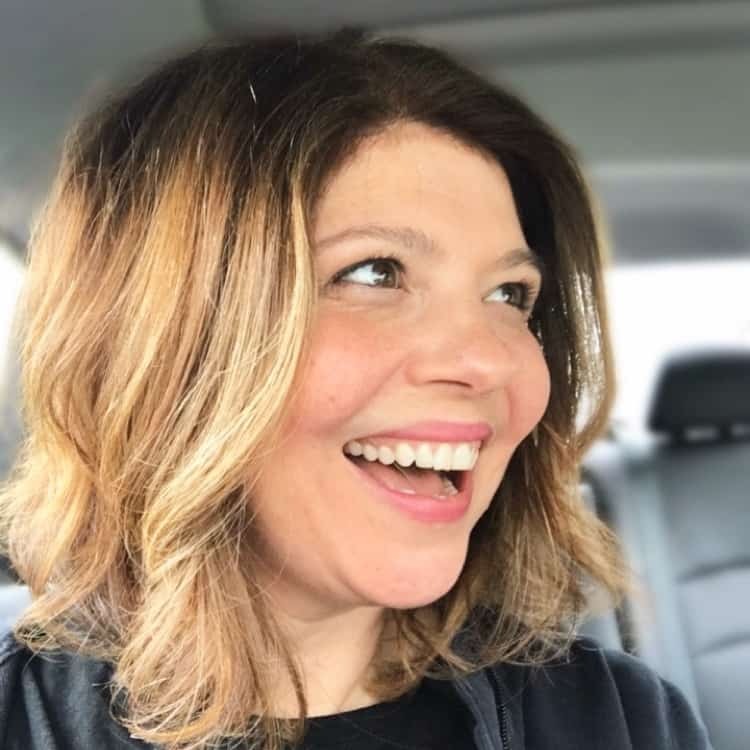 When Tuesday rolls around, home cooks share a sigh of relief as they know it will consist of easy meal prep, ending with a delicious bite on your plate. What Goes Into Your Taco? When I was growing up, tacos consisted of the “box kit” variety, complete with spice packet, refried beans, and hard, corn shells that fell apart with one bite, spilling my carefully constructed center of spicy ground beef, shredded iceberg lettuce, shredded cheese and chopped tomatoes all over my plate. It became a personal contest to see when a whole shell could be consumed without breakage. The victor in this scenario was always the taco. So, fast forward to the present day and the invention of the “soft” shell and add in the variety of any filling you can think of and I say that the Tuesday dinner was reborn. The taco is one of the most versatile dishes to have in your recipe box. What I love about this type of dish is the blank canvas they provide. 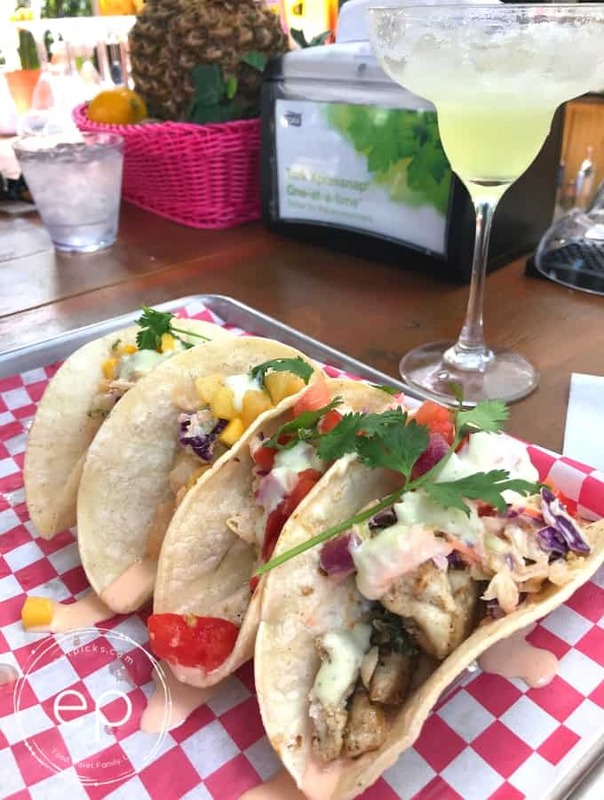 Whether you want veggie tacos, fish tacos, lobster tacos, ground beef, turkey or in this case Moyer Angus Beef steak, you really can’t go wrong with your choice. What Cut of Beef is Best for Tacos? When looking for the cut of beef that is best for tacos, be sure to look for lots of marbling, AKA, F-A-T. Yes, you want to see a lot of white in your cut of steak. When you cook this, the fat will render down which ensures a juicy, mouthwatering outcome every time. But the best cut of beef for tacos is probably Skirt Steak or Flank Steak. When grilled, the outcome is so tender and juicy! We really like to have a spinach salad when eating steak, so for this particular recipe, I used baby spinach instead of green leaf or iceberg lettuce and some fresh Pico de Gallo was perfect for some added flavor. The beauty of tacos is you can customize to what you really love. 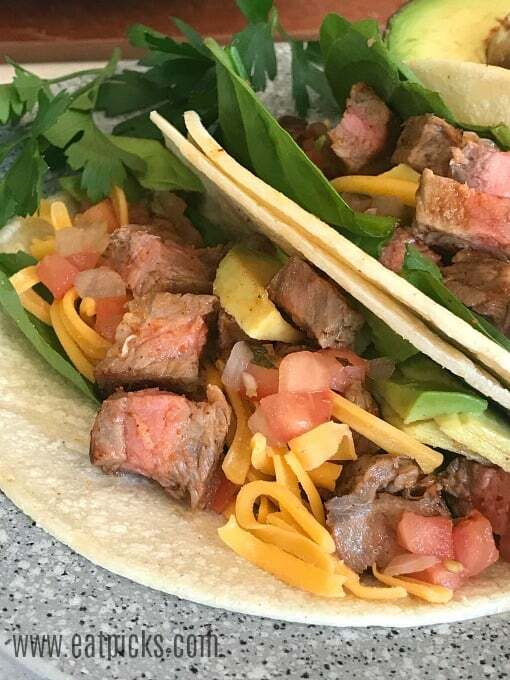 Taco Tuesday is a favorite staple to almost every meal plan and if you want to step it up a notch, then you must try using Moyer Angus Beef steak tacos. This juicy cut of beef will have family and friends coming back for seconds and thirds, so make sure you have enough on hand. Place steak on plate and let come to room temperature (about 20 min). Cover top side of steak with 1 Tbsp taco seasoning mix. Place canola oil in a 10” Cast iron skillet and heat over medium-high heat until very hot. Place Moyer Beef steak seasoned side down in pan. Sprinkle remaining tablespoon of taco seasoning mix on top of steak. 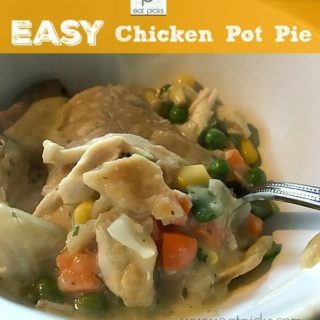 Turn and cook another 5 minutes. (Add an additional 2 minutes if you like your steak well done). 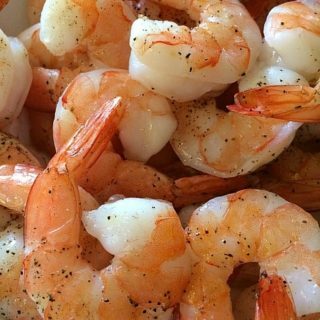 Remove from pan and set on plate or cutting board to rest for 5 minutes. Slice steak into strips, then into small bite sized cubes. Line soft taco shells with a few baby spinach leaves, then cheese, and steak. Top with Pico de gallo and avocado. Enjoy with a side dish of Spanish Rice!